Well, it's nearly upon us. Fishing season, that is. It opens the first weekend in May and I can't wait. Last night I went to an event with couple of friends. It's called Smallie Night Out and there are a couple of guest speakers followed by a door prize raffle. It got me jazzed for fishing, that much is sure. 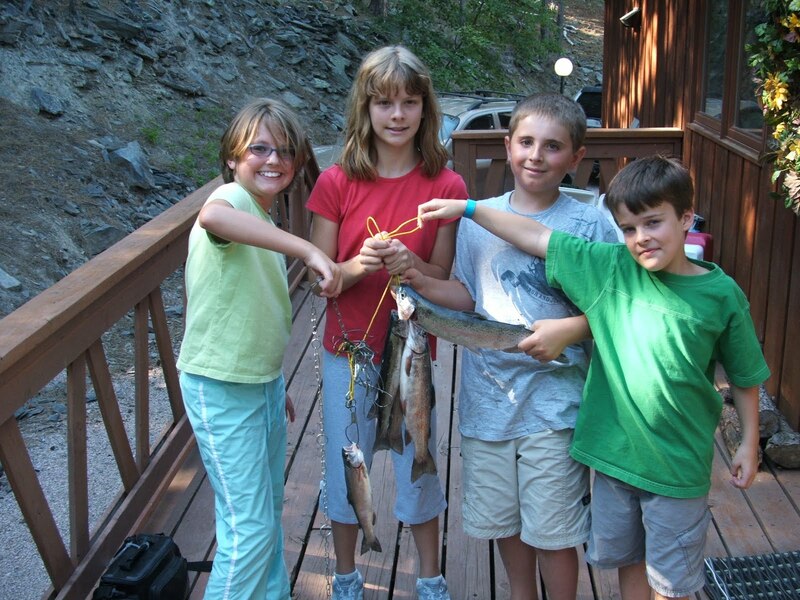 Fishing has always been a part of my family. My dad loved it, my brothers and I love it and now my kids enjoy it too. It really is a sport that can bring a family together. 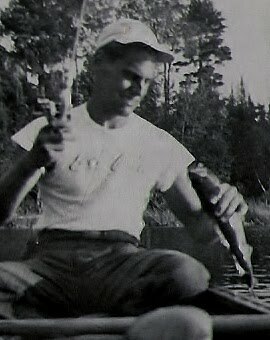 While I can't remember the first fish I caught, I do remember fishing at Lake Phalen and catching bluegills like crazy. My brother Tom gave me a Pocket Tackle Box with a few important lures in it. It gave me a sense of ownership and investment in the sport. 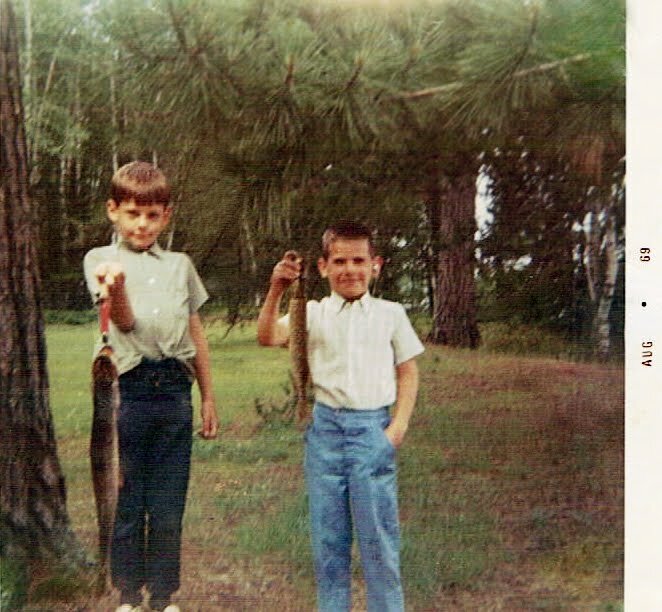 One of the things we used to do as brothers was to trade fishing tackle. It was the usual sham of trying to pass off the lures you didn't want to your siblings. The rusty old lures that we'd never used or the ones that were too big to ever do us any good. Meanwhile, your brothers were trying to sham you too so we usually ended up in a standoff and nothing ever passed hands. The old saying that a bad day of fishing is better than a good day at work is more true than not. I have too many good memories of fishing to ever recount. Here are a few of the more memorable ones. Fishing for carp on the Mississippi River. Yes, it's bottom of the barrel, bottom feeder fishing, but fighting a fat carp against the river current is a blast too. Canadian fishing with my friends Steve and Dave. We caught fish until our arms hurt. It spoiled me forever. BWCA fishing with my kids. 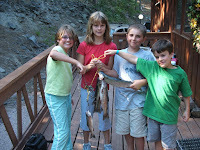 Walleyes cooked fresh from the lake converted my kids' eating habits. My first Northern Pike caught in Hibbing, Minnesota. The fish that looked like an alligator intrigued me. Cabin fishing with Rob, Paul and Tom. Be it in Aitkin Minnesota or Mercer Wisconsin, there's something really fun about being in a boat with your brothers, dodging insults and catching fish. Mille Lacs fishing charter with the brothers. Didn't catch a ton of fish, but really good to get out with all 3 of them. Fishing White Bear Lake with Rob, Paul and my cousin Lori as kids. Long summer days catching sunfish. Of course the last time the brothers got out fishing on White Bear with Rob, which I've blogged about before, will forever be a great memory. Muskie fishing with my buddies Steve and John. Fishing for the biggest most fierce fish in the Midwest is always a rush. Lots of good memories from Manitowish Waters with these guys. Kayak fishing on my favorite lake. I get that not everyone likes to fish. It takes patience, sometimes it's hard work and some people just can't get past the slimy fish thing. But for me, it is my therapy. It grounds me. Long hours in a boat are meditative for me. If I'm not catching much, at least I'm outdoors enjoying nature. Plus I get the chance to talk at a deeper level to whoever's in the boat with me.